Learn to drive with Virtual Drive’s best online parent taught driver education course! Skip the classroom with our mobile-friendly online course and behind-the-wheel driving lessons. How does Parent Taught Drivers Ed Work? Learn about the the parent taught program and how it works. Learn about the Benefits of Parent Taught Drivers Ed. Learn about how you as a parent can help your teen practice driving. DL-92 form used to request a Parent Taught Driver Education (PTDE) Program Guide. Texas driver education requirements for teens and adults. Learn about the Texas Graduated Driver License (GDL) program. Step-by-step guide to getting your Texas learners permit as a teen or adult. 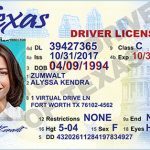 Step-by-step online guide to getting your Texas drivers license. Official DPS drivers license manual available online in PDF format for easy reference. 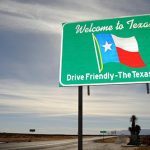 Rules of the Road for Texas drivers and out of state drivers vising Texas. Start by enrolling in the TDLR/DPS Approved Virtual Drive Parent Taught Drivers Ed Course. Our parent taught course is approved by the Texas Department of Licensing and Regulation (#107) and include everything your teen needs to get their Texas learners permit and drivers license. Signup for the Texas Parent Taught Drivers Ed for teens 14-17 years of age. Send form DL-92 to the Texas Department of Licensing and Regulation (TDLR) requesting participation in the parent taught program. The first six hours of the online Texas drivers ed course for teens focuses on preparation for the DPS written test. 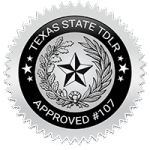 While the written test can be taken at your local DPS office, as approved TDLR course providers, we offer the DPS written test online in both the teen parent taught course. This saves you a trip to the DPS office! After completing the first six hours of the teen course and passing the DPS written test (in the course), print your certificate, gather all forms of identification noted in the checklist, and apply for your Texas learner driver license at your local DPS office. Once you have earned your learners permit, teens can start the behind-the-wheel driving lessons with their designated parent or legal guardian. Additionally, teens will continue the online drivers education classroom training, as well as in-car driving lessons, until the course requirements are complete. After completing drivers ed, first time drivers under the age of 24 are required to complete the free Impact Texas Young Drivers (ITYD) course, before the Texas Department of Public Safety will administer the final road/driving test in order to get your Texas drivers license. After completing the Texas parent taught drivers education course and the ITYD course and being at least sixteen years of age, apply for your Texas drivers license. Be sure and make several copies of your driver education course certificate (DE-964 for teens) for automobile insurance discount and your own records. Parent Taught Driver Education (PTDE) allows a parent or legal guardian to provide driver education instruction for their teen student. The student completes 32 hours of online classroom training. The parent or legal guardian supervises the 44 hours of behind-the-wheel driving lessons. This popular form of driver education instruction allows teens and parents with busy schedules to complete their drivers ed requirements on a self-paced schedule. In Parent Taught Drivers Ed, the student completes 32 hours of online drivers ed training as their time permits. The parent or legal guardian acts as the drving instructor and supervises the 44 hours of in-car driver training. The parent taught method is a self-paced course where students and their parental instructor complete the course at their own pace. Submit Form DL-92 to the Texas Department of Licensing and Regulation (TDLR) to receive your Parent Taught Drivers Ed Program Guide. Have a parent or legal guardian who is qualified to instruct the course. Complete 32 hours of drivers ed instruction online. Complete 44 hours of behind-the-wheel driving instruction with parent or legal guardian. Receive Certificate of Completion form DE-964. ***Students taking the parent taught drivers education model program must complete the free Texas Department of Public Safety Impact Texas Young Drivers course, within 90 days of completing their TX parent taught driver’s ed course, before the DPS driving (road) test will be administered. How Long Does Texas Drivers Education Take For Teens? To complete drivers ed in Texas, teens under the age of 18 must complete their course before their 18th birthday. This includes 32 hours of online driver education training and 44 hours of behind the wheel driver training with a designated parent or legal guardian. Students must have held their Texas learners license for at least six months, complete the Texas IMPACT training and pass the DPS road test. At what age can my teen begin this drivers ed course? 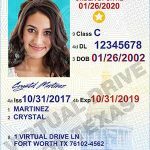 Students must be at least 14 years of age to begin the Texas parent taught drivers ed course, however, a learners permit will not be issued until the student is at least 15 years of age. 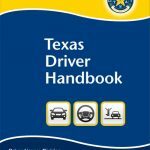 Teens under the age of 18 must complete an approved driver education course before receiving a Texas provisional drivers license. DE-964 is the driver education certificate issued by the driving school after completing parent taught drivers ed in Texas. This certificate is very important. Be sure to make copies. A copy of the DE-964 must be presented to the DPS office when applying for a Texas provisional drivers license. How many hours are required for parent taught driver education? Teens 14-17 must complete 32 hours of online (or classroom) training and 44 hours of behind the wheel instruction. It depends upon the schedule of both the teen and the parent instructor. Most of our students finish the Texas parent taught drivers ed course in approximately four months. Some finish the course in as little as two months and some go beyond six months. It is a self-paced course and teen drivers can complete the online drivers ed training as their time permits. Many teens choose to complete an hour or two per day, while other teens have a very busy schedule with extra-curricular school activities and or work. The parent instructor will provide the instruction on the behind-the-wheel lessons. The parent or guardian will have print outs to cover each driving objective. This too, is self-paced. There is no daily requirement. Many parents choose to designate two or three evenings per week, after work and a Saturday or Sunday where they will spend an hour or two with their teen on the behind-the-wheel requirements. Determine what works best for your schedule and work with your teen driver a little a time. How do we log our behind-the-wheel driving time? The parent taught drivers ed Program Guide you receive from TDLR will include a behind the wheel instruction log sheet. As driving objectives are completed, parents will sign off on each objective. This log sheet is important and must be submitted to the DPS office when apply for a provisional drivers license.